To find out more about Lee Hollis check out the webpage here. I am so behind in my reading so I thought I would share this ARC copy with one of you. All I ask is that if you win you will post a review on GoodReads or Amazon or both after you read it! Remember Advance Reader Copies can never be sold! Very interesting. I never go to my reunions. Maybe because I read too many mysteries where someone dies at them. Lol. This sounds great! The book sounds great! Thank you for the chance to win. I’m not entering because I too am so far behind it would be too long before I could read and review it! I love your Mystery stories, one never knows what to expect around the corner, keep them coming, I can never get enough of them. Thanks for this amazing chance. I’m with you. There are just too many wonderful books to be able to get through all of them on my list. 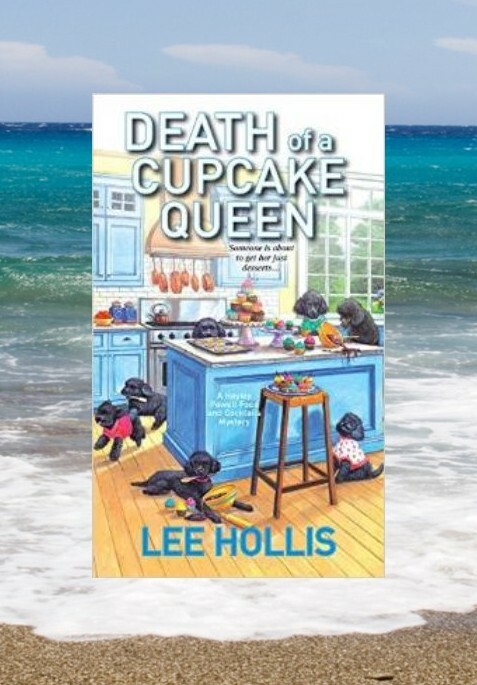 Now I’m really hungry for cupcakes 🙂 This looks like a good book! Thanks so much! Puppies, puppies, everywhere! Such a fun cover and title.